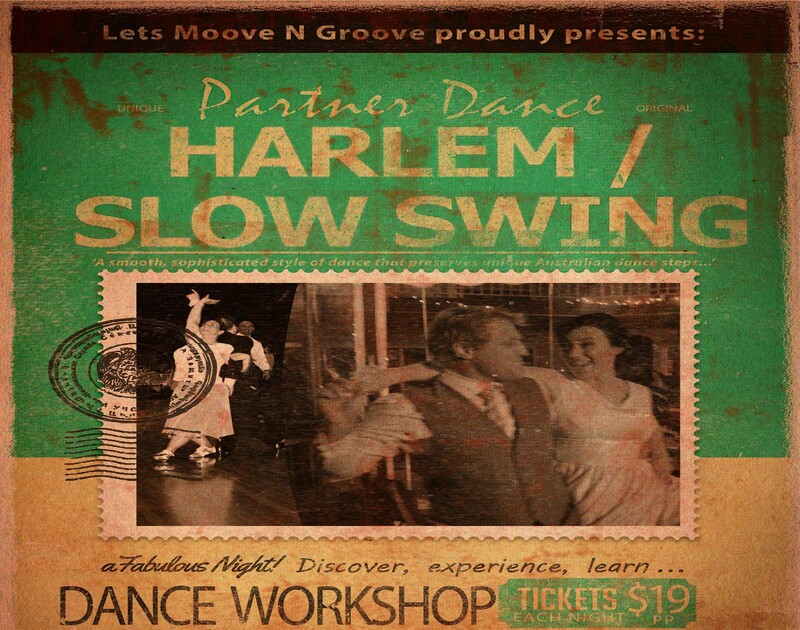 Learn the Harlem swing dance, mostly danced to slower music over a short period of three weeks. 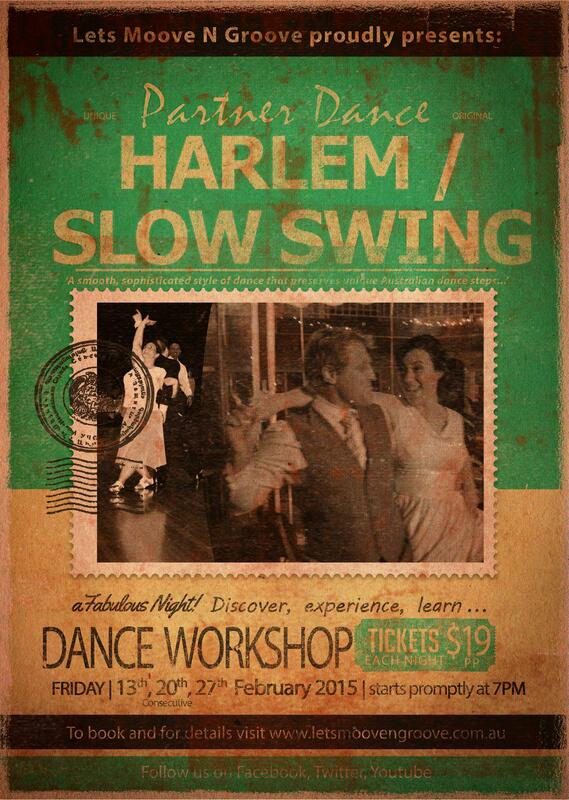 The three weeks will provide an introduction and taste for The Harlem. PAYMENT METHODS: Direct Deposit (please email for details); in class using our EFTPOS facilities (NB: 2% surcharge on all transactions) or cash.